Texas Legislative Associates understands the intricacies of Texas government and has shown significant success in working with both the Legislature and state agencies. The firm is noted for its in-depth knowledge of the political and legislative processes that affect the balance of power in Texas. More than 30 years of experience enhances the firm’s ability to represent those who have vital interests pending before the state of Texas. 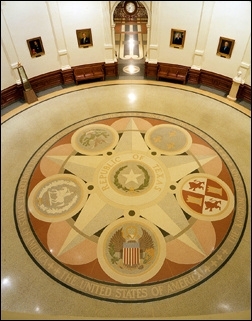 Our team of former legislators and agency executives offer our clients extraordinary access to key policymakers and a unique understanding of the critical issues pending before the Texas Legislature. The following is an outline of the governmental services that are available from the firm. These activities will be tailored to meet the needs of the client once priorities and goals are established. Developing a long-term legislative strategy. Maintain external relations with allied organizations and associations. Draft legislation and secure House and Senate authors to sponsor our bills. Develop comments and testimony for proposed agency rules. Maintain a personal relationship with key legislators. Work to pass or defeat legislation. Secure Governor’s signature or veto. Bringing like minded companies together. Recruit membership from impacted parties. Building an advocacy plan of action. Speaking with a united voice. Protecting participants from individual retribution. Attend all related agency hearings and board meetings. Monitor all appropriate agencies under sunset review. Participate in negotiations prior to legislative sessions. Identify key legislative leaders with facilities in their districts. Help build relationships between legislators and corporate leadership. Encourage corporate leadership participation in campaigns. As needed, manage media relations. Develop key messaging documents & press releases.